General Sessions. Our conference schedule brings everyone together daily for an action-packed, competency-energizing General Session, chock full of informative training you won’t receive anywhere else! These strategic sessions are purposed, creative and designed to enhance your growth and success as an administrative professional. Plan your growth and become fulfilled by learning how to implement the principles and strategies for a meaningful career and life. 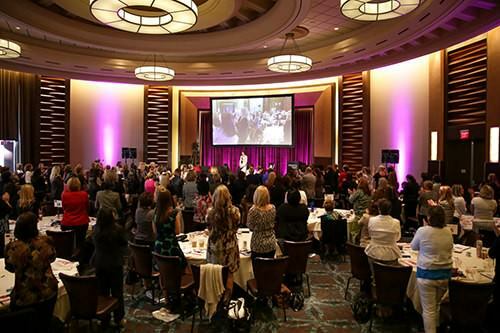 At this conference, you’ll discover the path forward and how to add value every day! Innovative & Trend Setting Information. Add value every day to your organization by being purposed and energized in the strategic and creative approach to your daily work activities. Joan continually surveys the administrative profession to bring the latest trends, newest features, and best practices to stir up the administrative profession! You’ll return to work energized, motivated and inspired, knowing exactly how to add value daily for both personal and career success. Personal Connection with Joan & ODI Team. You will experience a personal connection to Joan and her team who excel at Extraordinary Concierge Service with a big hug. Joan and her team appreciate each and every person and are eager to let you know they care—they want you to feel like part of an extended family. Premier Organizations — You Are in Great Company! Some of the brightest and best administrative professionals attend our conference. They are people of power and influence in their profession and organization. They represent an array of industries and both large and small businesses, including attendees from Amway, Boeing, Caterpillar, Chevron, Cisco Systems, City of Lancaster, ConAgra Foods, DRW Trading Group, Enbridge, FDA, Humana, Kindred Healthcare, Nationwide, Sandia National Labs, Siemens Energy, National Security Technologies, Procter & Gamble, Roche Diagnostics, US Army and Washington Education Association. #1 Joan Burge’s visionary championship for the profession; Office Dynamics International’s outstanding 27-year reputation for robust skill establishment; personal connection with each attendee; career of choice commitment; professionalism and that unmistakable touch of class! 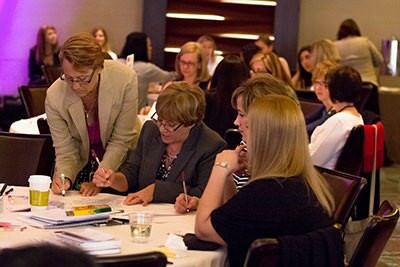 Learn more about our 2019 Conference for Executive and Administrative Assistants today! Attendance deciding factor is Joan Burge. Very likely to recommend event to peers. Love the personal connection with us. Not sure which conference to attend? Watch our free webinar, Administrative Conferences Galore – Choosing What’s Best for You! Register here.